Hi Nicky Bay! Tell us something about you. Who are you? And where are you from? I'm a game studio manager and programmer from Singapore. I frequent the local nature parks and reserves with my friends every week for macro shoots, and regularly share my photos on Facebook, Flickr and my blog. 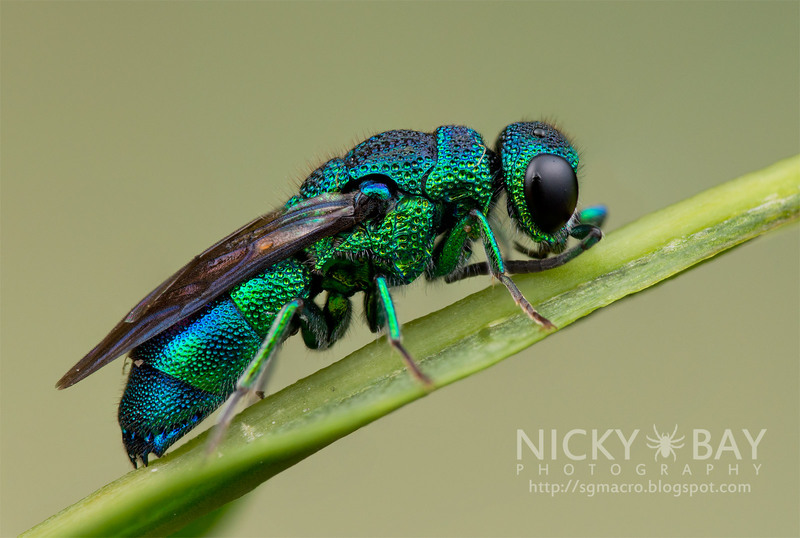 I've conducted some macro photography workshops before on request. How did you get into macro photography? I had always admired the macro photography works of others in the past and when my wife got me my first DSLR, the first lens I got was a macro lens and I have been out shooting and experimenting since. 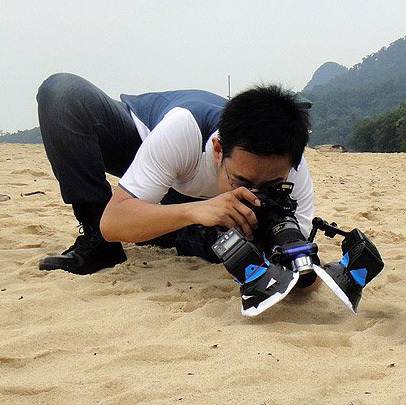 Explain, how a typically macro photography session looks like for you. Do you just go out in your garden? We meet in a group of about 6 at night after work, setup our cameras, and walk into a nature park or reserve. We all share whatever we find, so that our overall haul is much more than a solo shooter. Our shoots usually last between 4 to 6 hours in the middle of the night, often til the next morning. What kind of equipment are you taking with you at one of these tours? I wouldn't call them tours as it is usually just 30 minutes from where we live (Singapore is very small, less than half of Berlin). I would just bring 1 camera body, 1 medium range macro lens (90mm), extension tube (12+20mm or 36mm), Raynox DCR250, SB-R200 x 2, flash arms, focusing lights, extra batteries, sturdy camera strap, towel, and lens cleaning pen to clean the lens when it fogs up. Sometimes I would also carry a fisheye lens to capture exceptionally large subjects close up. That sounds that your equipment is very heavy? Do you use a tripod? I carry the equipment handheld 99% of the time now as I could shoot more than 3 times as many subjects as compared to when carrying a tripod. I only carried the tripod on overseas trips or when I have specific subjects or scenes that I want to photograph. On these occasions, I would use my 200mm lens. My setup is not light at all, that is why none of my friends want to use the same setup. At times, I might bring a flexible spider/gorilla tripod to capture subjects under ultraviolet, or for any subjects that glow in the dark. Do you always work with flashes? Or do you use the ambient light too? Most of my shoots now are at night, so there is no ambient light at all. When I do use the tripod however, I would use a lot more ambient light with reflectors and maybe a bit of fill flash. 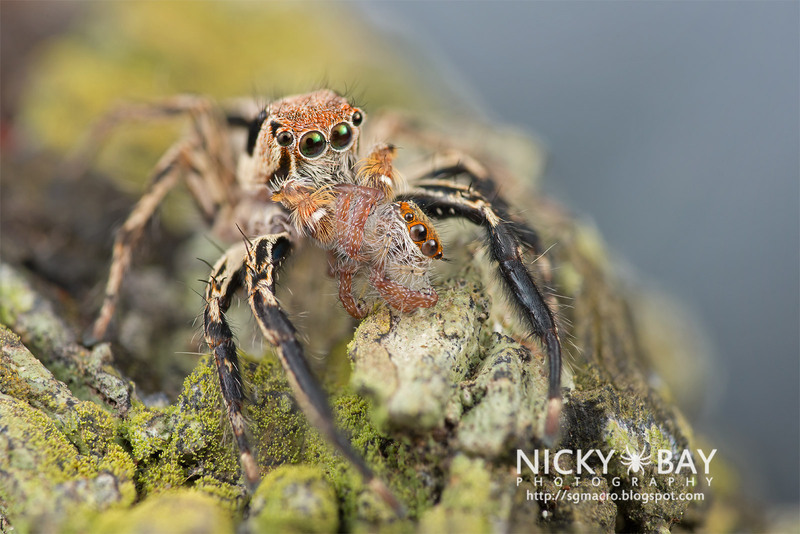 Do you have some tips to find small animals like jumping spiders and bugs? Where do they hide? And are there certain times when you can photograph these animals easier? In general, look under leaves where the bugs tend to take shelter, and on tree trunks where many remain camouflaged. They are easier to photograph when the temperature is low, so early in the morning at dawn is good, also because many subjects would have lots of morning dew. Shooting in the night also has much more shooting opportunities as the nocturnal creatures are in the open as well. What’s your favourite species to take pictures from? Lantern bugs and jumping spiders perhaps. 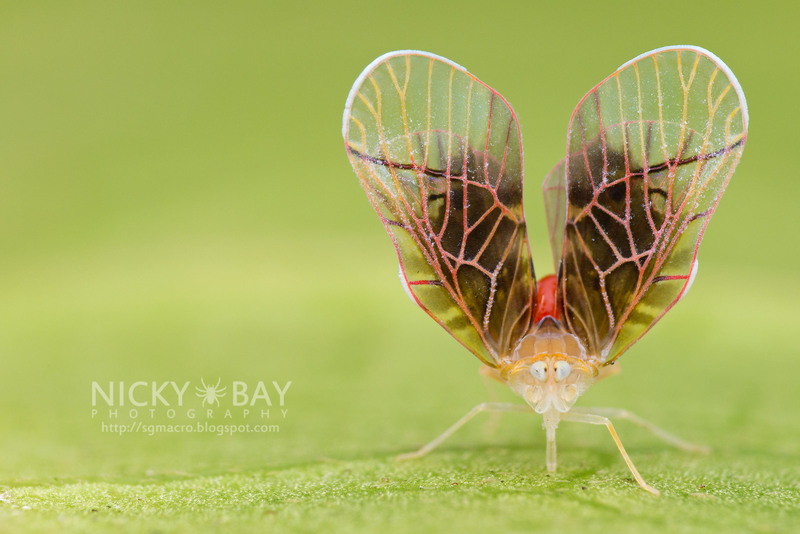 Lantern bugs are best shot in natural light, while the large anterior median eyes of the jumping spiders make them one of the cutest family of spiders. Do you process your photos with Photoshop or other software? I do most of the exposure and colour adjustment in Adobe Camera Raw, and cropping and unsharp mask in Adobe Photoshop. Do you make use of focus stacking for some of your photos? Yes but not often because I am shooting handheld and we need to make sure both the subject and camera are stable enough to maintain the exact angle in between stacking shots. It is only done with 2 to 4 shots and under specific circumstances where it is not possible to get the important parts in focus. What’s the reason you prefer a Nikon D800 with a Tamron macro lens? Why don’t you use the canon mpe-65 for example? I'm using the Nikon D800 now with Tamron 90 mm lens. Nikon D800 has good ISO noise handling and an exceptionally high megapixel count which allows me to do some cropping without losing much image quality. The Tamron 90mm was chosen because it is the cheapest and lightest macro lens in this focal length range. To me, all the 1:1 macro lenses probably produce photos of the same image quality. I have loaned my friend's Canon MPE before, but didn't consider using it long-term because it was quite limiting with a minimum magnification of 1:1. I did not want to change lenses when I encounter larger subjects, and found that I hardly ever needed to magnify beyond 3x. You wrote an article about macro photography ethics. Has your mind changed in relation to the nature and environment since you make macro photography? Definitely. By spending so much time in the wilderness, I have come to appreciate the various life forms that are near to us but not quite visible. Many are not aware of the impact of their own actions until they see the consequences. I've seen them myself, so I hoped that the article will spread such awareness. Is macro photography a kind of meditation for you? To calm down and to get away from it all? In a way, yes. It is also an activity that brings people from different backgrounds together and we appreciate the friendships forged over the years. 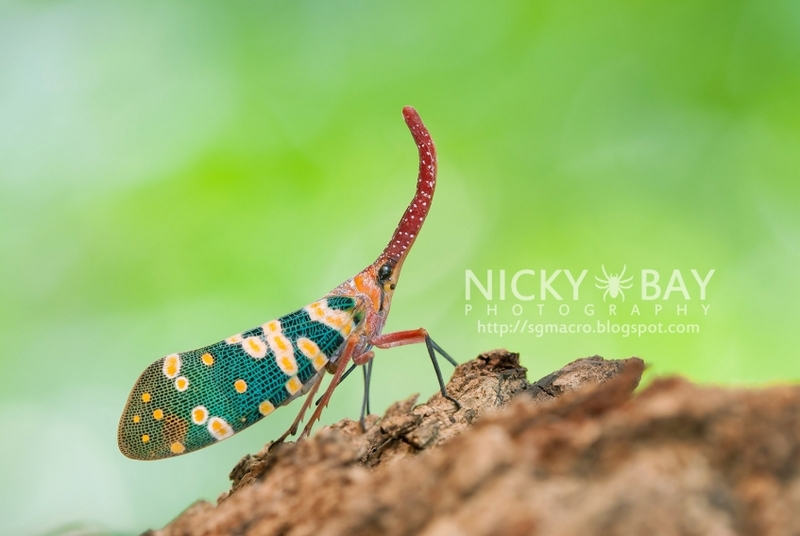 Do u think it is possible to earn money with macro photography? Yes, but the demand for macro photography photos and services is not high so the market is easily saturated once you have a few individuals providing such services. It is very difficult to make a living out of macro photography alone so one would need to diversify into other genres. 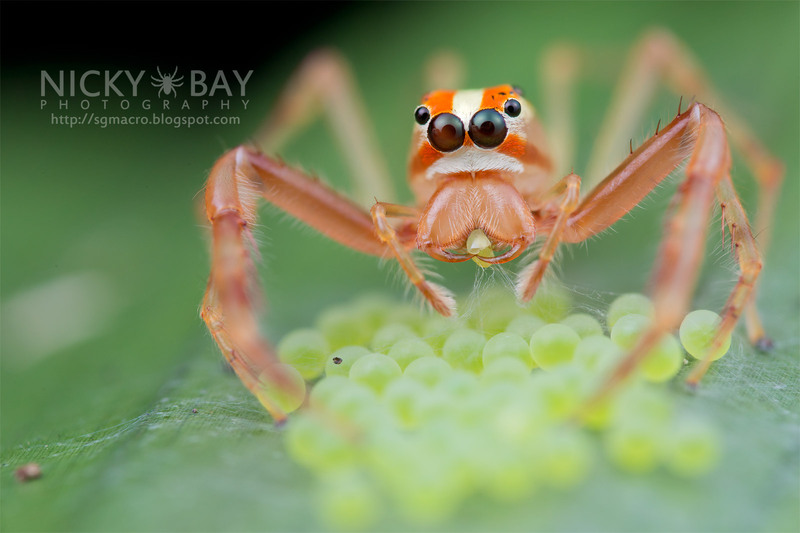 Even in major photo competitions, a macro section wouldn't be frequently seen. Nicky Bay, thank you very much for this interesting interview. Makrotreff wishs you still a lot of fun with your great macrophotography.